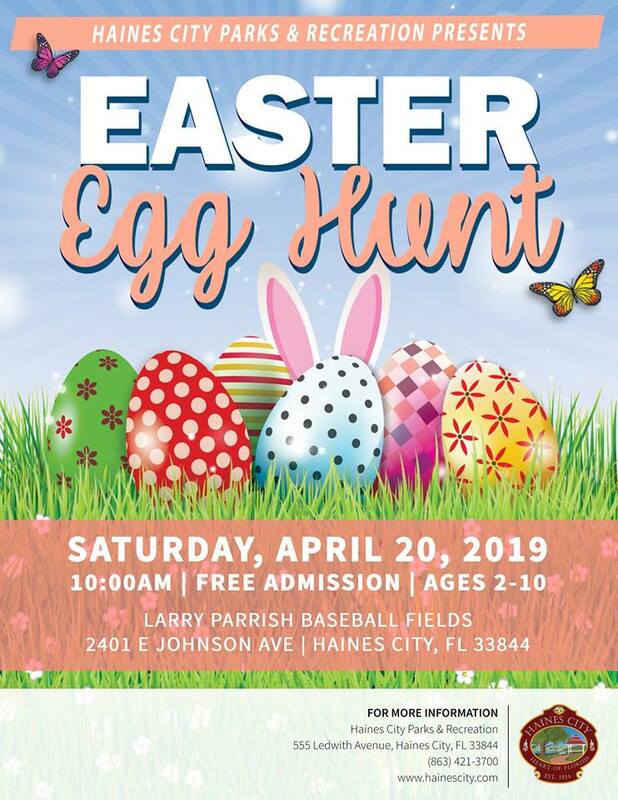 The City of Haines City’s annual Easter Egg Hunt will be Saturday, April 20th at 10:00 AM on the Larry Parrish Baseball Fields located at 2401 E Johnson Ave., Haines City FL. Ages 2-10 are welcome! Egg hunts will be divided into age groups. The Easter Bunny will be available for pictures, so don’t forget your camera! For more information, contact Haines City Parks & Recreation at 863-421-3700.